The VKB Knights secured a remarkable Momentum One-Day Cup victory over the Multiply Titans at the Mangaung Oval in Bloemfontein on Saturday, but sadly for them it was in a losing cause. Despite reaching their DL victory target of 282 in 40 overs with five wickets and six balls to spare, it wasn't enough for the Knights to clinch fourth spot on the log as the Warriors had earlier crushed the WSB Cape Cobras by nine wickets to earn an away semifinal in Durban against the Hollywoodbets Dolphins whose match against the bizhub Highveld Lions was rained out. The Titans, despite their loss, finished top of the table with a home semi lined up against the Cobras. 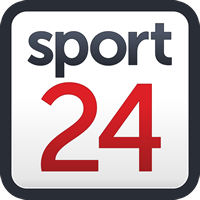 Initially, the Knights sought a victory target of 324 after Theunis de Bruyn struck 183, the equal highest List A score in South African domestic cricket, as he helped the log leaders to a formidable 323 for seven in their 50 overs. A break for rain after the Knights had reached 53 for one in 9.5 overs, however, changed the arithmetic somewhat. The home team sprinted home thanks to a measured knock of 60 in 63 balls (6x4s) by Raynard van Tonder, a rasping 55 in only 25 balls (2x4s, 5x6s) by Rudi Second and finally a beautifully judged unbroken sixth-wicket partnership of 109 in 14.4 overs by Ryan McLaren (55 in 59 balls) and Andries Gous (60 in 41 balls) that took the Knights to a brilliant win. Corbin Bosch was the most successful of the Titans bowlers although he was expensive, taking 3-66 in eight overs. Earlier, 26-year-old De Bruyn, in some ways a forgotten man in South African cricket after a quiet season, struck 20 fours and four sixes in an innings that spanned 142 balls as he dominated the visitors' innings after skipper Dean Elgar had won the toss and chosen to bat. De Bruyn had just equalled teammate Aiden Markram's record against the Lions in 2016/17 when he was dismissed by McLaren with four balls remaining in the final over. It was his first 100 in the competition this season. A measure of the 26-year-old Pretoria man's dominance was that the next highest score was 40 by fellow opener Tony de Zorzi with whom De Bruyn put on 86 for the first wicket. None of the other batsmen reached 20. Nevertheless, the biggest partnership of the innings was that of 89 for the seventh wicket with Corbin Bosch (19 not out) as De Bruyn cut loose at the death with 63 runs coming off the last five overs. The middle overs of the Titans' innings were relatively sedate as wickets fell regularly after their good start. Shadley van Schalkwyk and off-spinner Tshepo Ntuli were the most successful of the Knights' bowlers with 2-71 and 2-62 respectively but paceman Marchant de Lange commanded the most respect, finishing with 1-47 in his 10 overs that included a final over that was spanked for 17. KNIGHTS: Patrick Kruger, Andries Gous (wk), Keegan Petersen, Rudi Second (capt), Grant Mokoena, Ryan McLaren, Shadley van Schalkwyk, Marchant de Lange, Tshepo Ntuli, Mbulelo Budaza, Raynard van Tonder. TITANS: arhaan Behardien, Corbin Bosch, Theunis de Bruyn, Tony de Zorzi, Dean Elgar (capt), Gregory Mahlokwana, Rivaldo Moonsamy (wk), Tshepo Moreki, Marcello Piedt, Grant Thomson, Jonathan Vandiar .